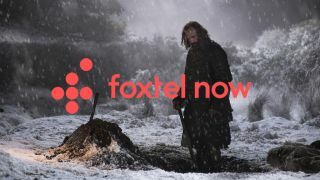 Blames "unprecedented rush for subscriptions"
A lot was riding on the successful premiere of Game of Thrones' much-anticipated seventh season, with the episode giving the newly-launched streaming service Foxtel Now its biggest test to date. The service even launched its PS4 app just in time for Jon Snow and Co. to return to our screens. Unfortunately, the pressure was too much for the service to handle, with the Foxtel Now system crashing under the weight of an "unprecedented rush for a subscription just prior to the telecast," as explained by Foxtel's official statement on the matter (subscriptions saw a 40% rise in the 48 hours prior to last night’s screening). Foxtel’s Identity Management System, which usually handles around 5,000 customer processes a day was hit especially hard, with 70,000 transactions in the space of a few hours. "We are committed to resolving the technical faults immediately and together with our broadcast partners around the world, we are giving this the same degree of priority." The fault doesn't lie entirely on Foxtel though, with HBO's own technical systems failing to deliver content in a number locations around the globe. As HBO is reportedly unwilling to give its content partners access to its shows before they've premiered globally, Game of Thrones must be streamed centrally from the US HBO servers. This, combined with the sudden rush of new Foxtel Now signups, caused the whole system to crash. Still, given that the crash only occurred several hours after the show's 11.00am AEST airing in Australia, we would've expected the episode to have been placed on Foxtel's local servers, ready for the primetime rush at 6-7pm. While this premiere was undoubtedly a huge strain on Foxtel Now's system, the service really should have expected the extra attention and prepared itself accordingly. As a service, Foxtel Now wants to be seen as a deterrent to piracy, especially when it comes to the HBO content its pays handsomely for. But Foxtel clearly needs to do a lot better if it truly wants to convert the pirates. We'll be eagerly anticipating seeing whether the service can stand up to the strain with future episodes — and a failure to deliver will undoubtedly push many Australian Game of Thrones fans back towards the pirate option.